How To Choose The Best AV Rental Company in Dubai? What pointers should you look at for best AV rental services in Dubai? Though reviews should not be the only aspect while choosing the ideal AV rental company, taking the customers’ feedback always helps. What’s more, taking the reference from the customers and friends who have already availed the services is definitely a huge help while seeking AV rentals. VRS Computers is an established player in the industry which guarantees 100% customer satisfaction and the reviews from the past customers are the very proof. Though taking the quotes from different companies is advisable, following up on the company which has been around for some time and is financially stable and has a good inventory of state-of-the-art AV rental equipment is your best bet. VRS Computers has been in the AV rental business for a decade and has ventured into many other verticals with its success in IT equipment rental business. Setting up the AV equipment is not a child’s play. Essentially, when your reputation is at stake it is highly advised to approach the experienced AV rentals company whose reputation precedes their experience. Your choice should be the company which has performed many social events with their AV equipment rental without a hitch. VRS Computers is a pioneer in serving the community with AV rentals in Dubai. Apart from the experience, you always wish for the ultimate customer service and helpful staff. Ideally, the technicians should not only be well-informed but should also be helpful for setting up the AV equipment. The technicians from the AV rental company should be willing to offer 24/7 support during the rental period as being an amateur dealing with AV setup and functioning, it is highly recommended to have a skilled professional by your side. AT VRS Technologies, we ensure that our helpful technicians are deployed at the event round the clock for invincible support. 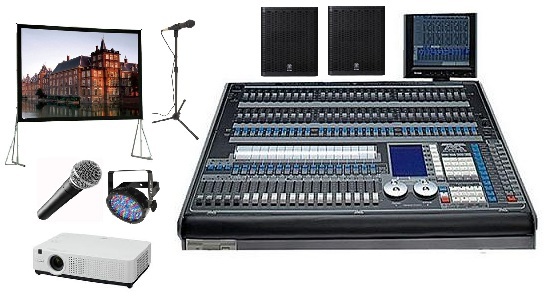 For more information on AV rental services in Dubai, contact +971-55-5182748 or visit our website www.vrscomputers.com.